We are here to help you manage the multitudes of decisions, challenges, and opportunities facing the global MedTech industry. 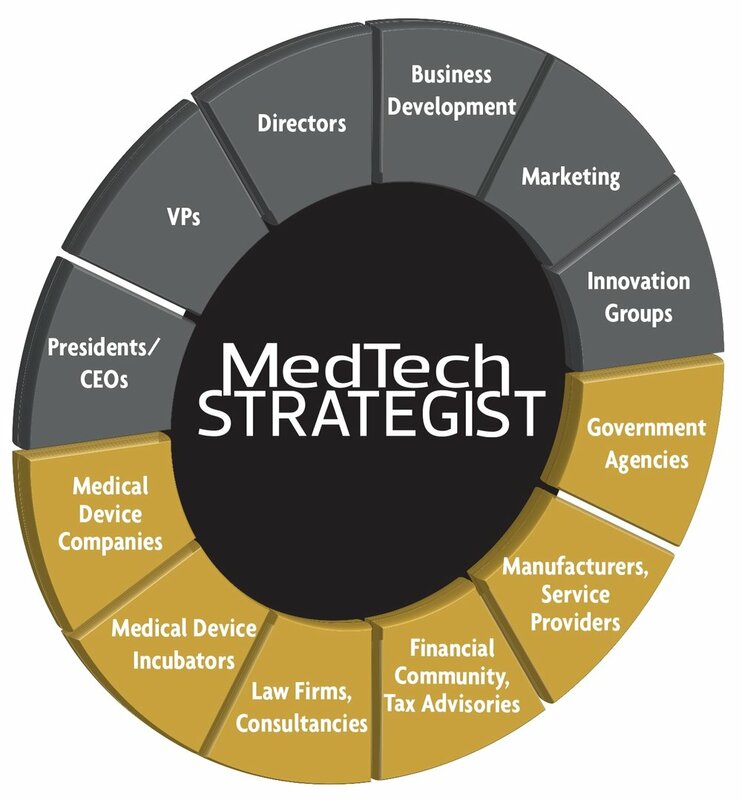 From disruptive technologies to shifting competitive landscapes, radical new marketplace dynamics to changing business models, keeping track of what’s going on in an ever-evolving medtech marketplace has never been more challenging – and more important – to executives in the medical device industry. With more than 100 years of combined experience, we have worked together for nearly two decades, providing medical device industry executives with both breadth and depth in our industry publication, MedTech Strategist, and providing our community with access to unparalleled connections at our global investment and partnering conferences. Our community of MedTech Strategists come from around the world and from every business type. Our community relies on MedTech Strategist and our investment conferences for incomparable, actionable intelligence. @DCassak has more than 30 years of experience in the healthcare industry. Cassak co-founded Windhover Information Inc., along with his partner, Roger Longman, in which they spun out exceptional publications such as IN VIVO, START-UP, Medtech Insight, Emerging Medical Ventures and The RPM Report. Cassak also served as Vice President, Content, and Managing Director, Medical Devices for Elsevier Business Intelligence, a Reed Elsevier Company, including the publications The Gray Sheet and The Pink Sheet. He is a frequent speaker before various companies and trade groups within the medical device industry and is widely known for his vast knowledge and reporting in MedTech. Stephen served as Executive Editor & General Counsel at Windhover Information followed by Editor-in-Chief of Medical Devices for Elsevier Business Intelligence, where he directed the company’s editorial coverage of the medical device industry. Before that, Stephen was Senior Counsel to the US Senate Permanent Subcommittee on Investigations, where he directed Senate investigations into a wide variety of areas including health care fraud and abuse, international organized crime, and corruption in federal contracting programs, while also participating in other Senate investigations including the Whitewater inquiry. Before joining the Subcommittee, he was with the Federal Election Commission and the Department of Justice. @Kristy_MTS has over 25 years of experience in the health care industry with a focus on medical devices, with companies such as Medtech Insight, Windhover Information and Elsevier. Her background includes sales management, marketing and product branding, new product development, operational start-ups and sales strategies. Through her leadership, Kristy has created multiple sales operations including revenue forecasting and tracking, sales training and business development. @NancyDvorin has been covering the medical device and pharmaceutical industries for 20 years. From 2009-2018, she was the managing editor of In Vivo, a healthcare business publication founded by Windhover Information and later acquired by Informa. Before joining In Vivo, Nancy managed library and information services for a number of multinational corporations. She’s delighted that her passion for delivering useful, actionable information to clients has translated well from the information service to the information provider arena. @MedtechDavid has been covering the medical technology sector as a writer and editor for about 20 years, previously serving as the executive editor/editor-in-chief of industry-leading publications The Gray Sheet and Medtech Insight. He specializes in the regulatory and reimbursement dynamics that impact device and diagnostics companies' ability to succeed in the marketplace. Earlier in his career, David was an editor with the American Chemical Society, producing content for professionals in the pharmaceutical industry and analytical instrumentation space, and he has also worked in the pharmaceutical industry. @MaryThompsonMTS was a founding member of the Medtech Insight editorial team, where she served as a principal writer/analyst and Executive Editor from 2000 through 2014. In this role, she covered an extensive variety of medical technology markets and was responsible for elevating Medtech Insight to one of the most respected publications in the industry. Mary’s 20+ years of experience in this field, along with her early background as an R&D scientist, bring a wealth of expertise and perspective to the MedTech Strategist team. @Tracy_Schaaf's 20+ years of experience in the device market analysis space brings a seasoned perspective to the MedTech Strategist team. Prior to this role, she spent more than five years as an independent consultant to the device industry, contributing regularly to Elsevier Business Intelligence’s monthly publications START-UP and MEDTECH INSIGHT, and providing marketing and business development services to various clients in the device space. She was on the start-up team at Medtech Insight, now part of Informa, and BioMedGPS, and is a past managing editor of Medical Data International’s monthly publication MedPro Month. @MaryStuartMTS has been writing about business issues affecting the medical device industry since 1989, as a founding team member of Windhover Information. There, she was instrumental in the creation of START-UP magazine. She also developed the Strategic Transactions Database and the Health Care Strategist, an annual publication created from the database. For 25 years, through Windhover’s merger into Elsevier Business Intelligence and recently, the latter’s acquisition by Informa PLC, Mary was a regular contributor of articles to IN VIVO and START-UP magazines, with a focus on the business strategies of large companies in the medical device industry, financing and development strategies for venture-backed start-ups and emerging clinical markets. @WendyDiller has 20+ years experience in writing and qualitative analysis about the life sciences industry. Most recently, she was chief of the biopharma business bureau at Elsevier Business Intelligence. Previously, she worked in the equity research services group at Standard & Poor’s and at Windhover Information, where she built expertise in the medtech and specialty pharma sectors. Sandy’s responsibilities include corporate financial reporting, audit, treasury, tax, accounts payable and receivables. She started her career with Windhover Information in 2001 as Conference Logistics Manager where she was responsible for all of Windhover’s conference series including IN3, among other responsibilities. @Bridget_MTS has over 15 years of experience in advertising sales, marketing and new business development. She previously represented an organization that publishes a variety of lifestyle and community publications. Throughout her career, Bridget has held the title of top producer. When asked how she does it, her answer is simple – listen more than you speak, then position clients in the right way with the right objective in mind. @ChelseaReintjes is a new addition to the medtech field, having graduated from UC Santa Barbara with a B.A. in Art History and Global Studies in 2015. She likes to think of herself as a “Jack of all trades” after working in both the construction industry as well as fashion before finding a home with MedTech Strategist. @Dunn_Steffanie is MedTech Strategist’s Client Relationship Manager. Prior to MedTech Strategist, Steffanie worked in global corporate travel for over 10 years where she managed corporate accounts for multi-billion dollar energy sector companies and has served on the board for many Women’s Fund Charities.